A partial list of external grants received by CALS faculty during the fourth quarter of fiscal year 2015 (April 2015 – June 2015) are included here. Only projects with total awards of $100,000 or more are included. We apologize for any omissions. At its March meeting, the Virginia Agricultural Council reviewed research project proposals and funded 21 new projects totaling almost $220,000, as well as more than $45,000 for four new projects for lawn and turf research. It also extended funding for a second year on five projects totaling nearly $50,000. In 1966 the Virginia General Assembly established the Virginia Agricultural Council to provide financial assistance and support for agricultural research, education, and services. Its purpose is to find new uses for agricultural products, to develop new markets for such products, and to promote more efficient and economical methods of agricultural production. A partial list of external grants received by CALS faculty during the third quarter of fiscal year 2015 (January 2015 – March 2015) are included here. Only projects with total awards of $100,000 or more are included. We apologize for any omissions. The purpose of the Biotechnology Risk Assessment Research Grant program is to support the generation of new information that will assist federal regulatory agencies in making science-based decisions about the effects of introducing into the environment genetically engineered organisms , including plants, microorganisms (including fungi, bacteria, and viruses), arthropods, fish, birds, mammals and other animals excluding humans. Investigations of effects on both managed and natural environments are relevant. The program accomplishes its purpose by providing federal regulatory agencies with scientific information relevant to regulatory issues. See the full request for applications for details. Proposals are due April 17. Each year, Southern Sustainable Agriculture Research and Education invites applicants to submit proposals for the various grant opportunities that are offered. Applicants are strongly encouraged to download and read the call for proposals before applying for a grant. If after reading one of the calls for applications, you still have questions about whether that grant is best for your ideas, contact ssare@uga.edu to have your questions answered. Research and Education Grant CFP is now open. Application deadline for pre-proposals is June 1, 2015 at 11:59 p.m.
Large Systems Research Grant CFP is for information purposes only. Graduate Student Grant CFP is now open. Application deadline is May 4, 2015 at 11:59 p.m.
Professional Development Program CFP is now open. Application deadline for pre-proposals is June 1, 2015 at 11:59 p.m.
Producer Grant Program CFP is for information purposes only. The 2015 Producer Grant call for proposals will be released September 2015. On-Farm Research Grant CFP is for information purposes only. The 2015 On-Farm Research Grant CFP will be released September 2015. Sustainable Community Innovation Grant CFP is now open. This special Call for Proposals specifically focuses on local and regional food systems. Application deadline is May 4, 2015 at 11:59 p.m. 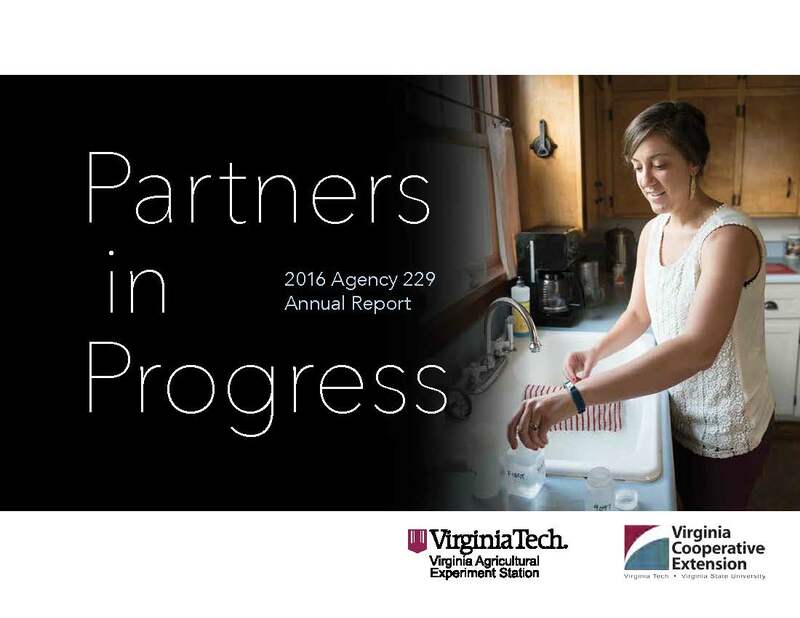 The Virginia Beginning Farmer and Rancher Coalition program was recently awarded the USDA Beginning Farmer and Rancher Development Program grant, which builds upon the first USDA grant received in 2010. The long-term goal of the Virginia Beginning Farmer and Rancher Coalition Program is to improve opportunities for beginning farmers and ranchers to establish and sustain viable agricultural operations and communities in Virginia. To reach this goal, they support the development and enhancement of whole farm planning curriculum and training, online resources, social networking, and farmer mentoring. Unique to this state-wide Extension program is its coalition of agricultural organizations and farm business that work together to develop and implement these programming aims. We want to thank everyone who submitted proposals to the NC State University and Virginia Tech collaborative grants program. We received 31 proposals for consideration in this second year of the joint program to enhance our collaborative efforts and ultimately our colleges. Proposals submitted were evaluated by peer reviewers and by a joint review panel from both universities. We are very pleased to announce that the following proposals were selected for funding. These represent many different areas — basic research, applied research, outreach, teaching, plants, animals, various departments, and disciplines. We hope that you are excited about the collaborations between these schools and the diversity that these proposals represent. The National Institute of Food and Agriculture is pleased to announce the release of the fiscal year 2015 Crop Protection and Pest Management Request for Applications. The synopsis of the funding opportunity, a link to the full announcement, and the application package can be found online. The National Institute of Food and Agriculture is pleased to announce the release of the following requests for applications. Each listing includes the letter of intent deadlines (if requested) and application deadlines.